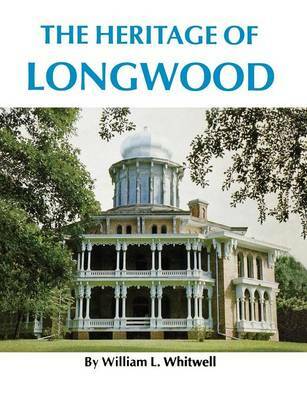 Longwood in Natchez, Mississippi, is a celebration of American eccentricity. Dr. Haller Nutt, who made a fortune in cotton during the pre-Civil War boom, wanted a home that would be different, one with ""character."" His dream was romantic--to evoke past cultures by using the best from any era. A Philadelphia architect, Samuel Sloan, published a work in 1851 called The Model Architect which featured an ""Oriental Villa"" in octagonal form with a Byzantine-Moorish dome on top. Using this design, Sloan set about to create a magnificent mansion for Nutt. In April 1861, Nutt's dreams were smashed by the Civil War. Construction on the mansion came to a halt as the northern workers abruptly dropped their tools and returned to their homes. Many of the tools are still in the unfinished interior exactly as they were left. Local laborers completed the basement portion of Longwood. It was here the Nutt family lived while the Civil War swirled across the South. Dr. Nutt died in 1864. Seemingly lost from reality, today Longwood is the picturesque shell of one of America's most bizarre houses--a wonderful example of architectural folly and nineteenth-century mentality.